Deandra Dottin claimed stunning figures of 5-5 in 3.4 overs as Windies Women rolled Bangladesh for 46 to kick off their World T20 defence with a 60-run victory in Providence. No Bangladesh batter reached double figures - Fargana Hoque top-scoring with eight - as Dottin's rapid spell earned her the third-best figures in Women's Twenty20 internationals. Tournament hosts Windies needed something special after scraping to 106-8 - skipper Stafanie Taylor (29) and Kycia Knight (32) the only players to fire as Jahanara Alam (3-23) and Rumana Ahmed (2-16) led a disciplined bowling display. 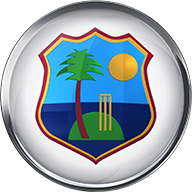 Dottin duly obliged, striking twice in her first over - Hoque clothing a searing bouncer back to the seamer - and then twice more in her second. 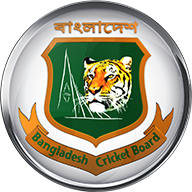 The 27-year-old sealed her five-wicket haul by poleaxing Salma Khatun's middle stump at the start of her fourth over, with Windies wrapping up the win three balls later with a run out - Bangladesh skittled in 14.4 overs. Dottin delivered 18 dot balls out of 22 en route to the best bowling figures at a Women's World T20, beating Sune Luus' 5-8 for South Africa against Ireland during the 2016 event in India. Bangladesh's total is also the lowest in Women's World T20 history, knocking the 58-9 they scored against England at Sylhet in 2014 into second place.